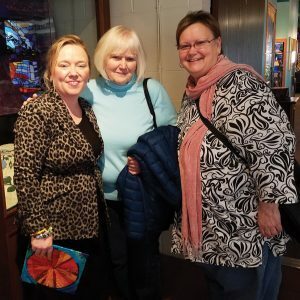 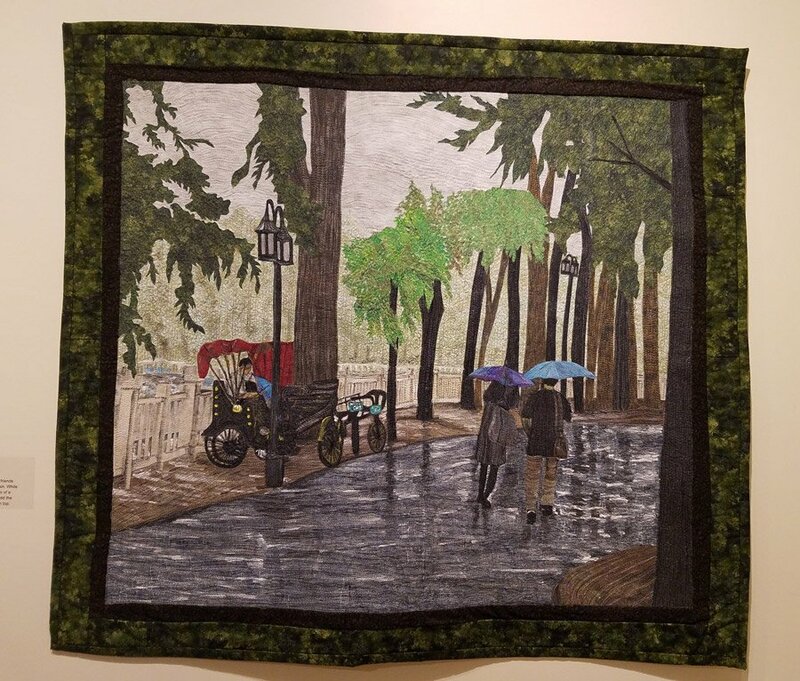 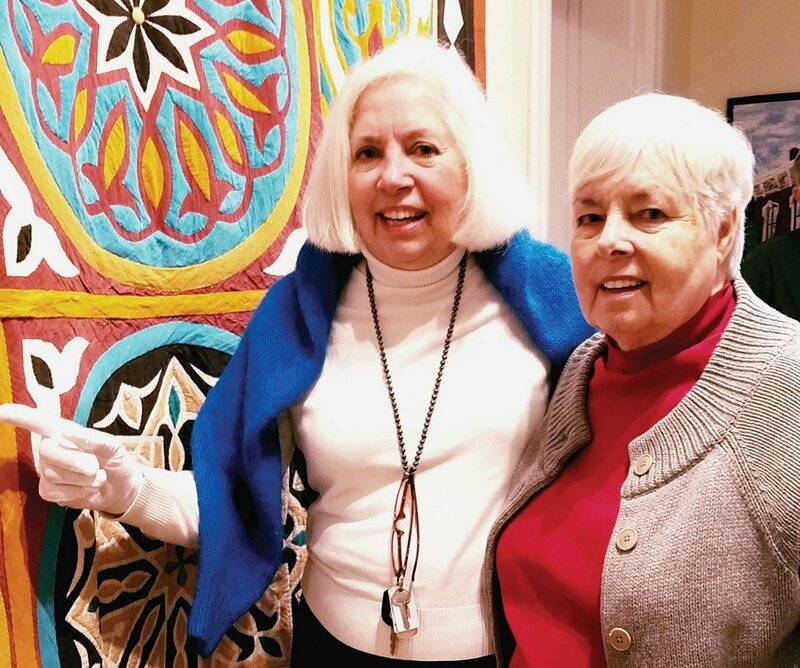 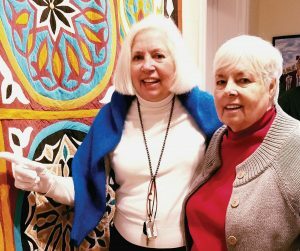 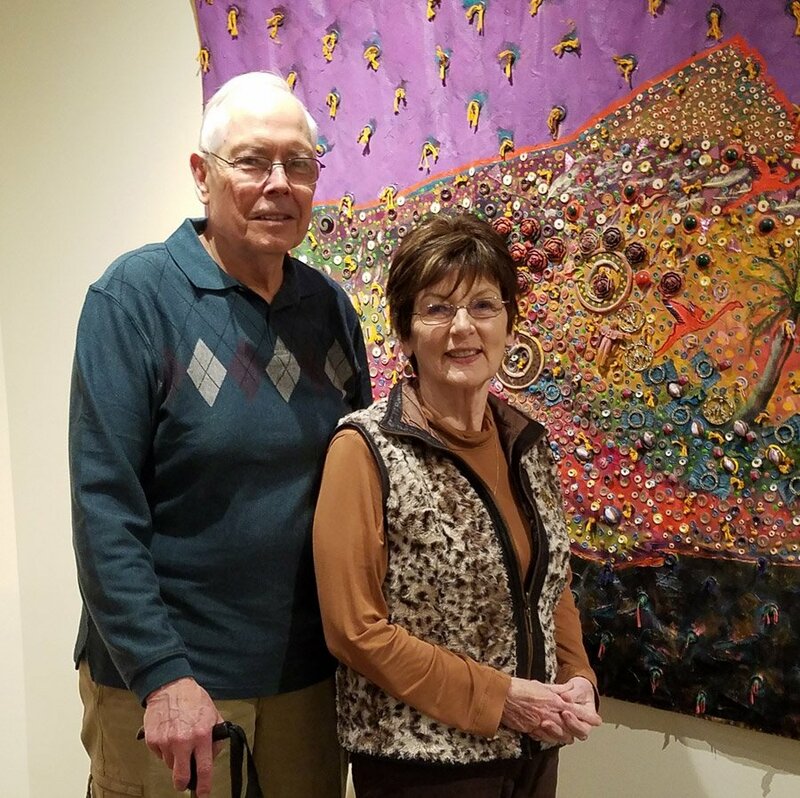 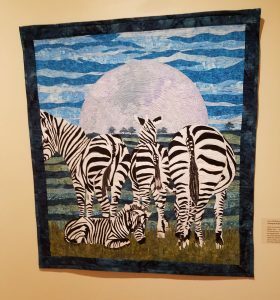 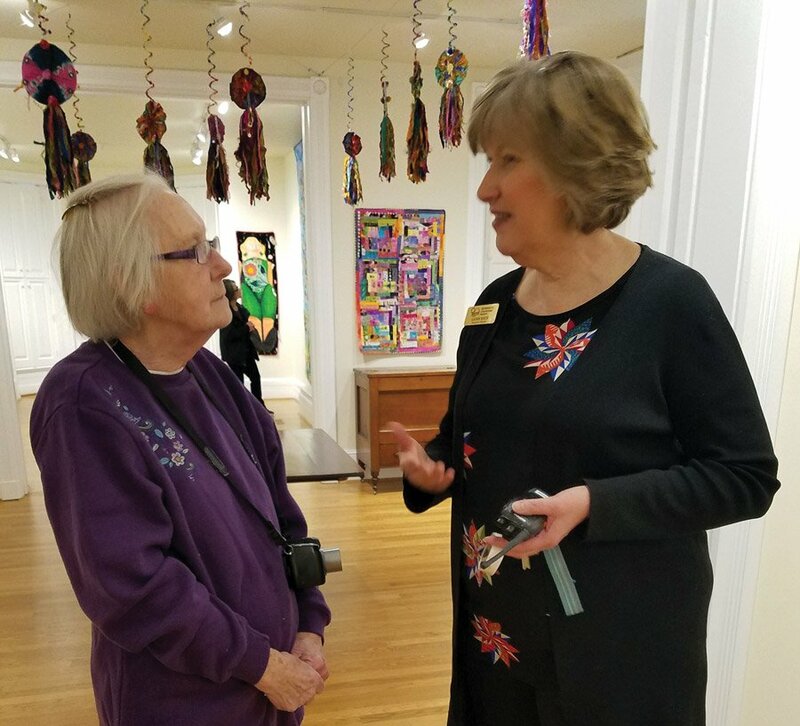 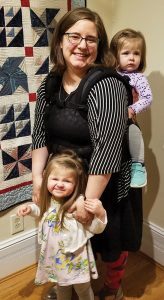 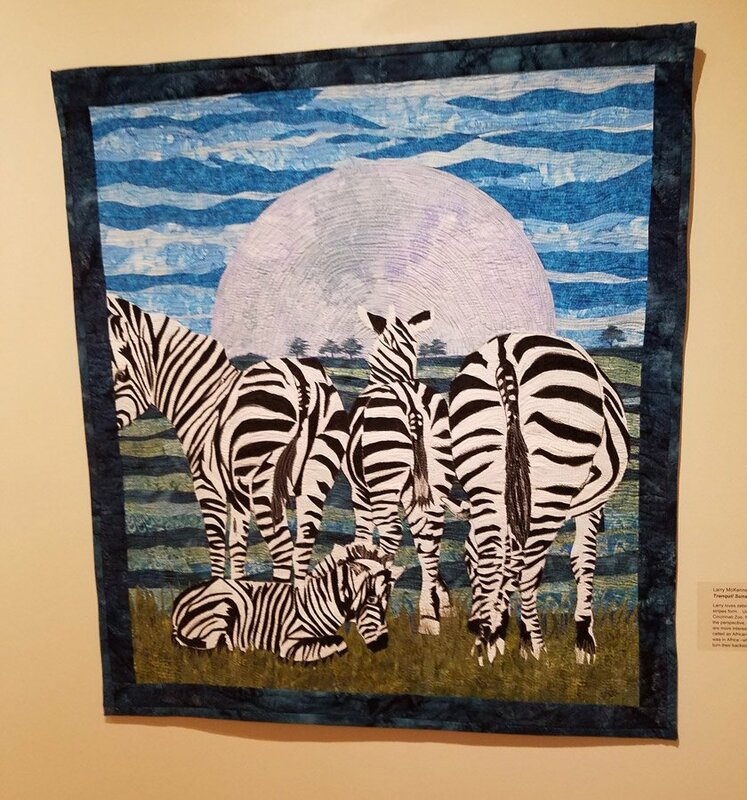 “Storied Threads,” an exhibit at Behringer-Crawford Museum, features dozens of handmade quilts with a common theme – the art of quilting as a reflection of life. 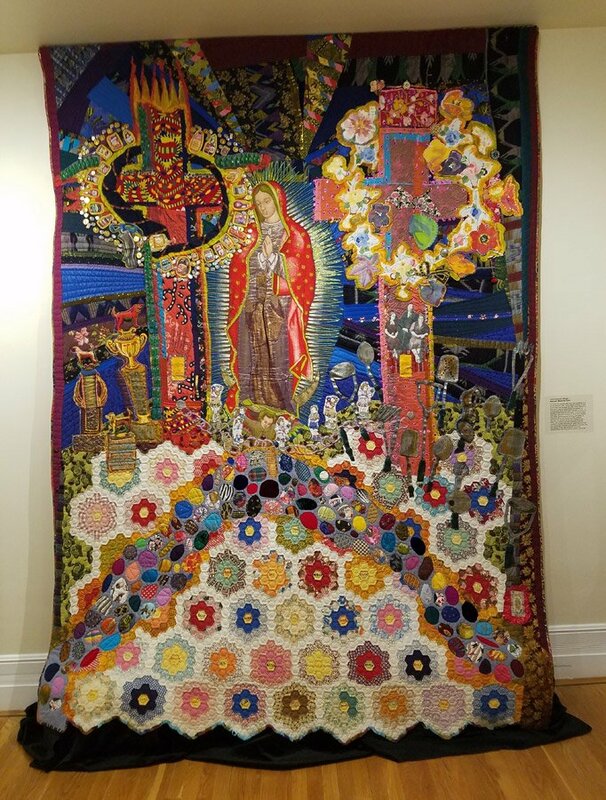 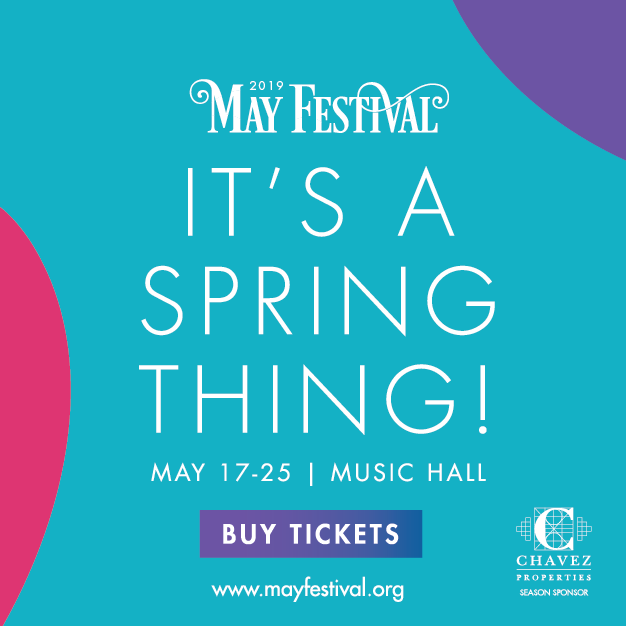 The featured textiles tell stories of their makers’ lives and the world around them – families, weddings, deaths, adventure, spirituality. 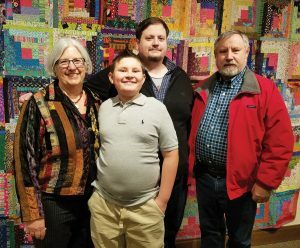 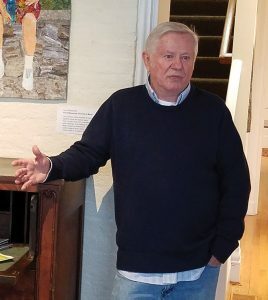 The February opening, which was free to the public as part of ArtsWave Days, included a meet-and-greet with the artists and a presentation by Larry McKenney of Villa Hills, Kentucky, who discussed his technique of translating photo images into quilts. 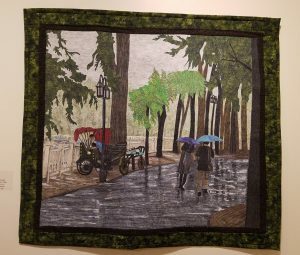 “Storied Threads” continues through May 13 and is included in the cost of museum admission. 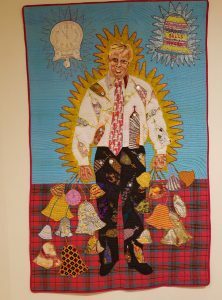 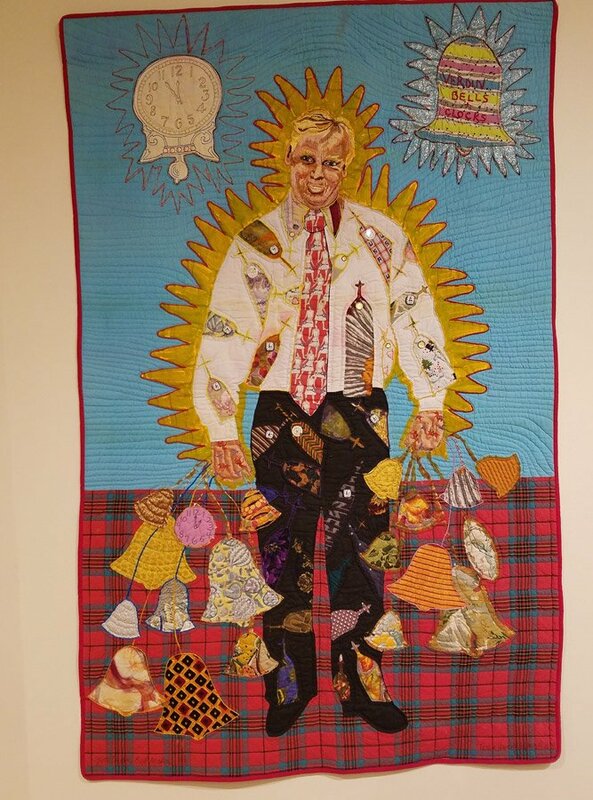 “Hancock Memorial Quilt” by Terrie Hancock Mangat at Behringer-Crowford “Storied Threads” exhibit.